De La Salle University brings world leaders closer to future leaders. Nobel prizes are given out to exemplary individuals for advancements in various fields. Did you know that several Nobel Prize winners are Lasallian? DLSU is the only Philippine university that has the initiative to regularly invite Nobel Laureates, some of the most brilliant minds in the world, to share their knowledge and interact with members of the Lasallian community such as faculty, students, alumni, and staff. The University also confers upon them honorary degrees. As the University’s honorary degree holders, the Nobel Laureates are welcomed to the academic community comprised of students, faculty, personnel, and alumni. They are community members and Lasallians who serve as an inspiration to the youth and society as a whole. Some of the most popular Nobel Laureates include Albert Einstein, Martin Luther King Jr., Marie Curie, Ernest Hemingway, Malala Yousafzai, and Barack Obama. Isn’t it great to know there are Lasallians — namely Mario Vargas-Llosa, Ada Yonath, Richard Heck, and Eric Maskin — amongst these brilliant minds? Read on to learn more about Nobel Laureates who are Lasallian! 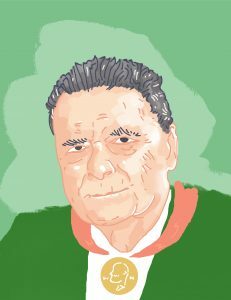 A Lasallian at heart, Llosa would recall fondly his formative years at the Colegio La Salle in both Bolivia and Peru, where a La Salle brother taught him how to read. “Learning how to read was the most important event in my life,” he said. He also added that his vocation as a storyteller was ultimately born in those years. 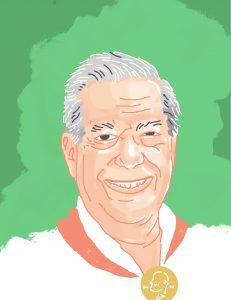 Vargas Llosa received the Nobel Prize in Literature for his “cartography of structures of power and his trenchant images of the individual’s resistance, revolt, and defeat.” He has also received numerous international awards for his body of work. During his talk in DLSU in 2016, Vargas- Llosa received an honorary doctorate in literature. Yonath is a woman of many firsts. She is the first woman in 45 years to win a Nobel Prize in Chemistry. She is also the first Israeli and Middle Eastern woman to take home this prestigious honor. 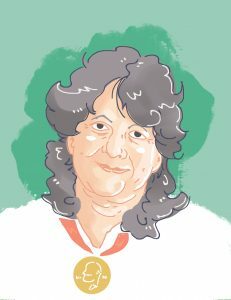 Professor Yonath is widely known for her revolutionary study that helped make antibiotics more effective. She has generated 3D models that have revolutionized the field of structural biology and are now used by scientists in order to develop new antibiotics, directly assisting the saving of lives. Dr. Yonath delivered a lecture in DLSU in 2015 and received an honorary doctorate in science from the University. American scientist Richard Heck received a Nobel for his work in palladium catalyzed coupling reactions and organic synthesis. Heck and his team were able to invent new ways to bind carbon atoms. Results of this study have been used for various purposes such as combating cancer, manufacturing thinner computer screens, protecting crops, and improving anti-inflammatory analgesics. Heck received an honorary degree from DLSU in 2012. Heck was also an adjunct professor of the University’s Chemistry Department. He retired and made the Philippines his home until he passed away in 2015. 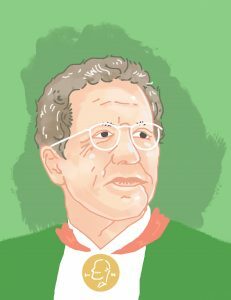 Dr. Maskin received his Nobel in 2007 for laying the foundation for mechanism design, which has applications in economics, politics, and networked systems. Most of his work overlaps with fields such as mathematics, law, government, computer science, biology, and philosophy. Maskin has a professorship at Harvard University, the highest honor given to their faculty members. He was named Adams University professor in 2012. He came to DLSU in 2017 and was conferred an honorary degree in economic sciences. In pursuit of its mission as a resource for Church and Nation, DLSU fosters global understanding by opening its doors to international movers and shakers, like these Nobel Laureates!